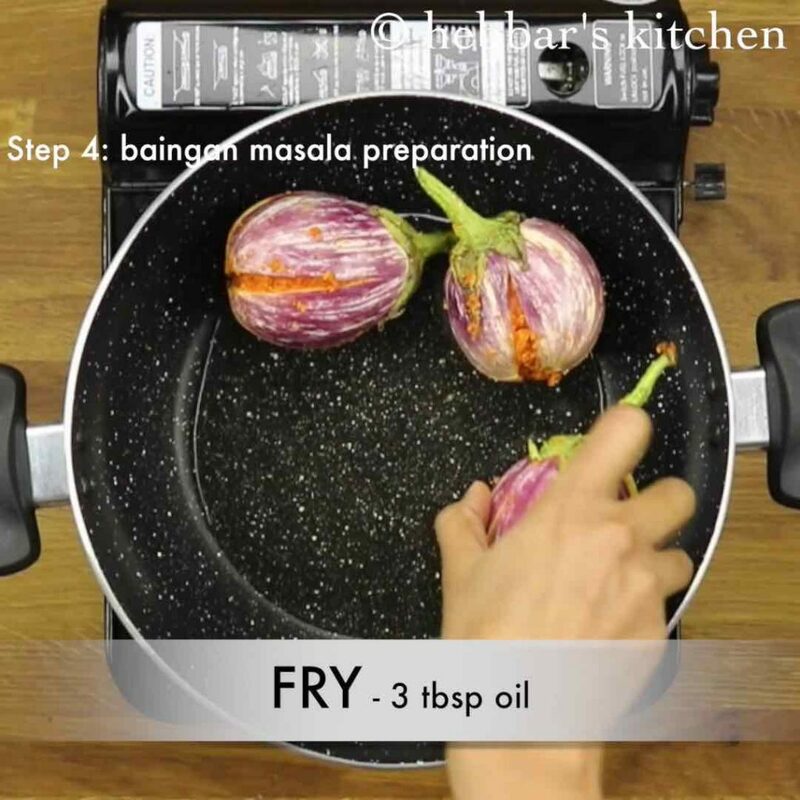 baingan masala recipe | brinjal masala recipe | eggplant masala curry with detailed photo and video recipe. 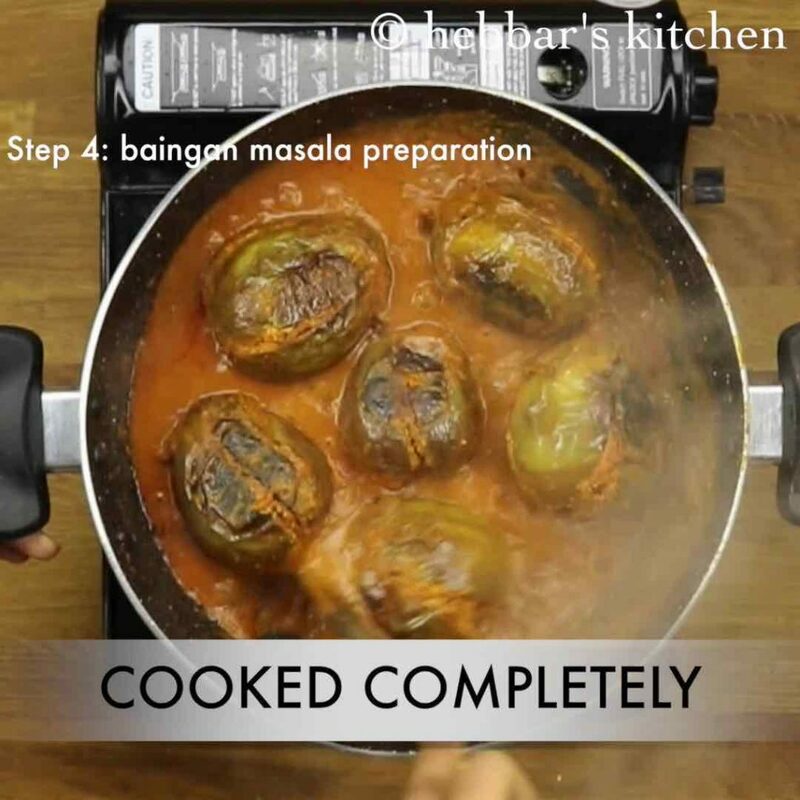 a stuffed baingan recipe, stuffed with peanut, coconut masala which is later cooked in a tomato and onion based sauce. it is extremely popular eggplant recipe and it is ideally served with roti, naan and chapathi and even with jeer rice recipe. 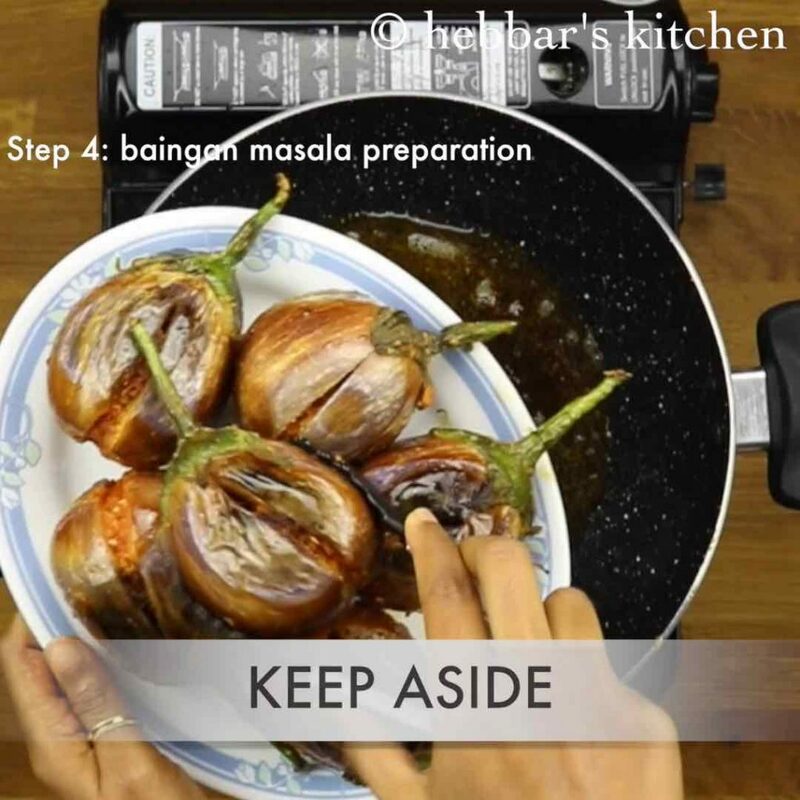 baingan masala recipe | brinjal masala recipe | eggplant masala curry with step by step photo and video recipe. 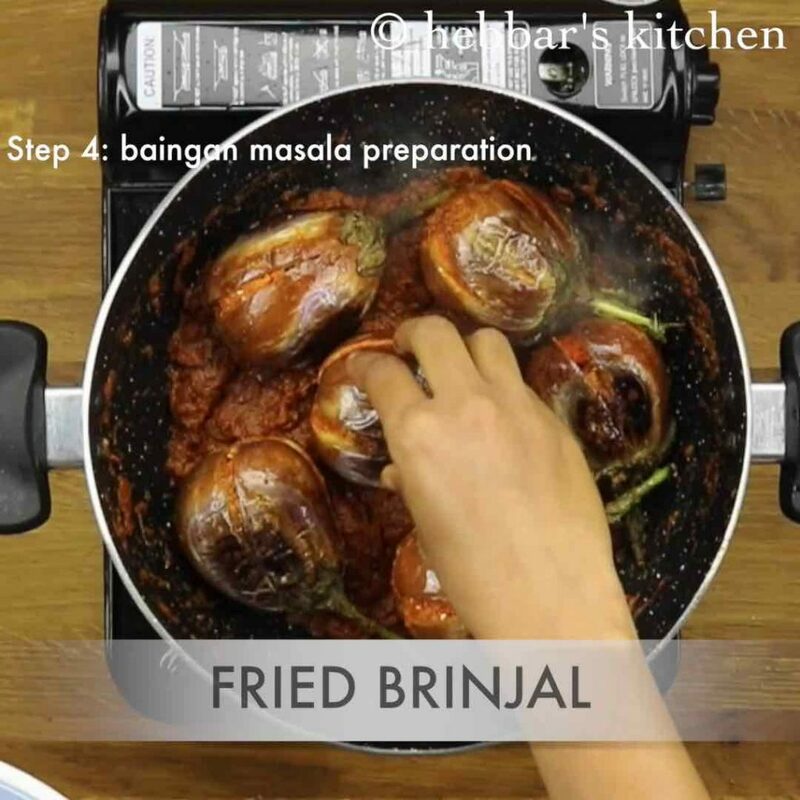 brinjal masala recipe is a popular north indian curry recipe which are typically stuffed with peanut and coconut masala. 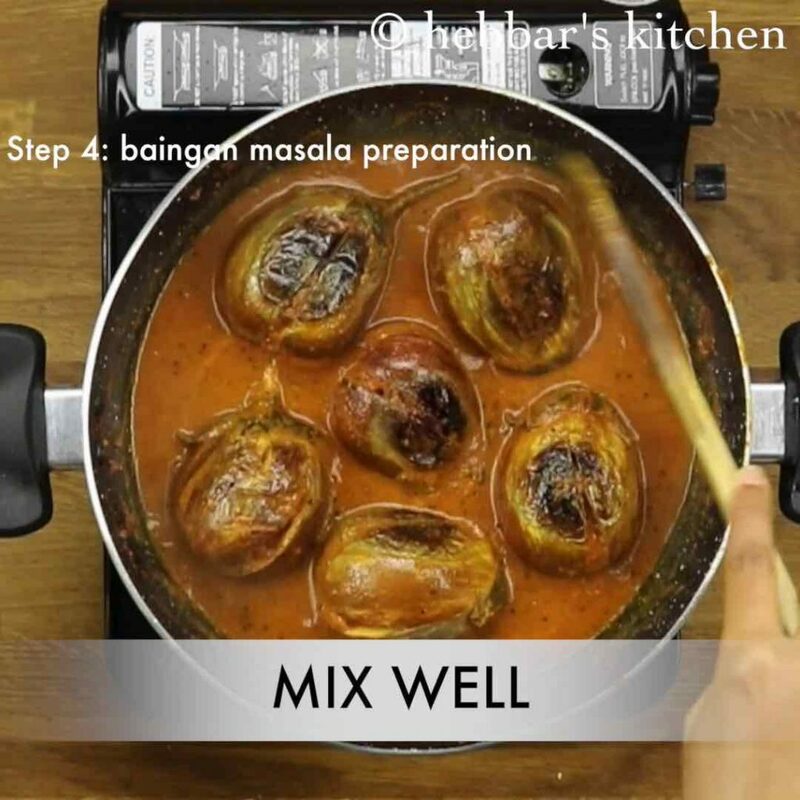 later these stuffed eggplant are cooked in a thick curry sauce which combines with the brinjal stuffing to form flavourful curry. 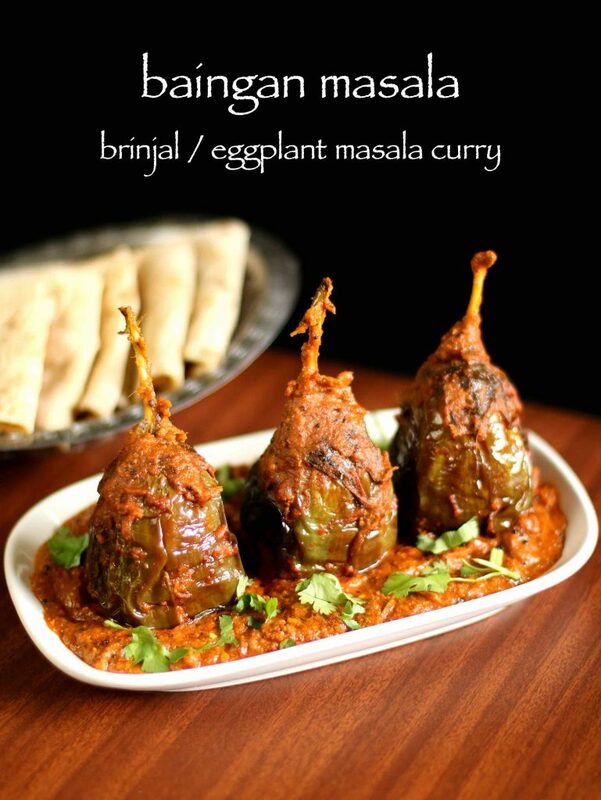 this restaurant style brinjal curry is best suited for dinner and lunch parties and even for potluck parties. i have already shared a simple stuffed binjal recipe which which is also known as ennegai or yennegai recipe from north karnataka. while i would say, this recipe is an extension to it which is basically with the same stuffing but simmered in a tomato onion based curry. 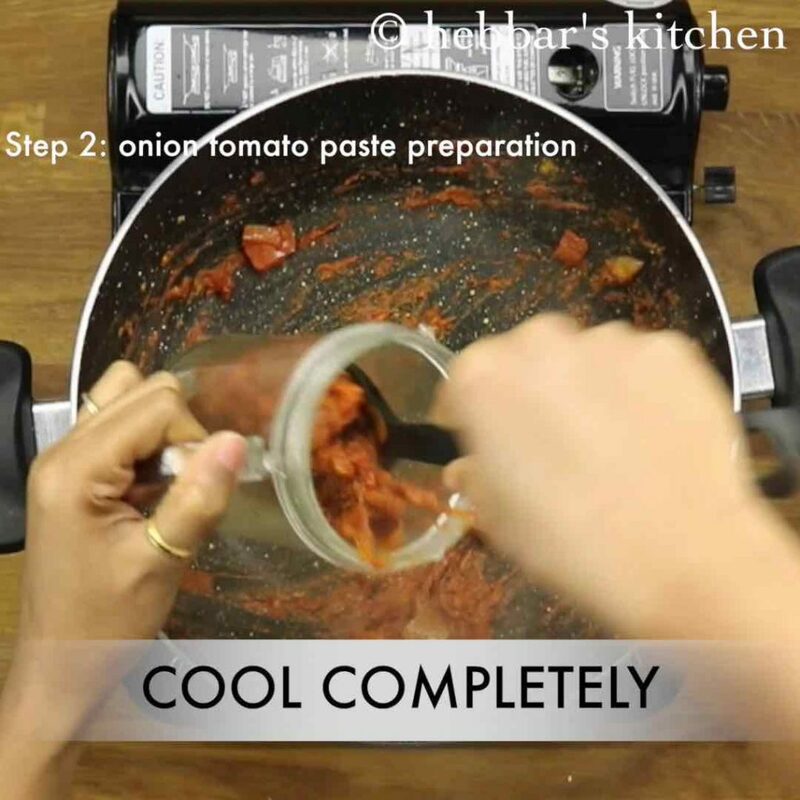 i even prepare the sauce by mixing the cashew paste or yoghurt or both, but i have skipped both in this. 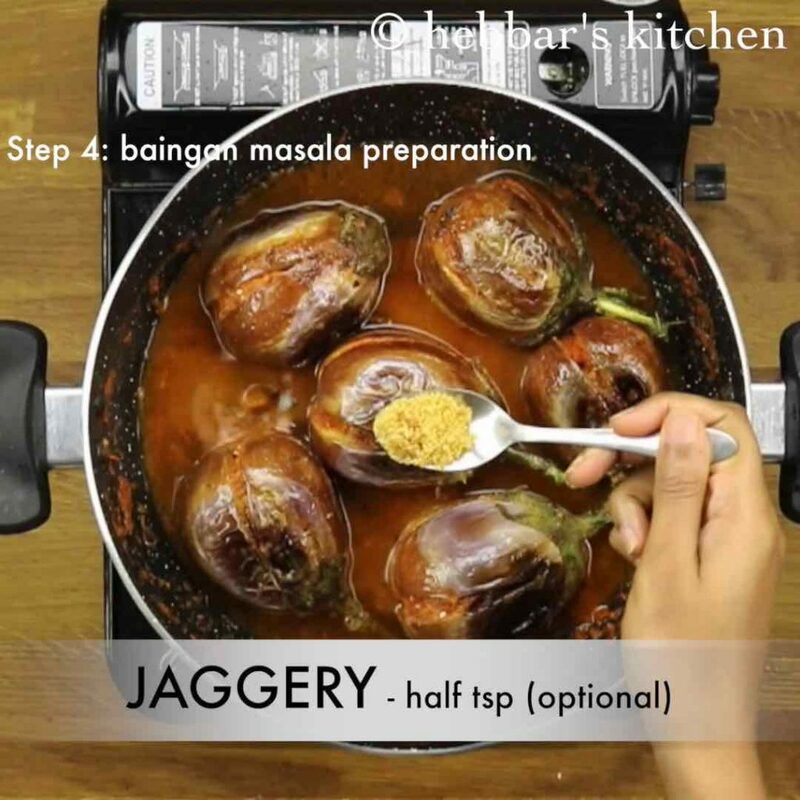 i personally like eggplant masala recipe without any creamy sauce but if you prefer you are more than welcome to add and experiment. 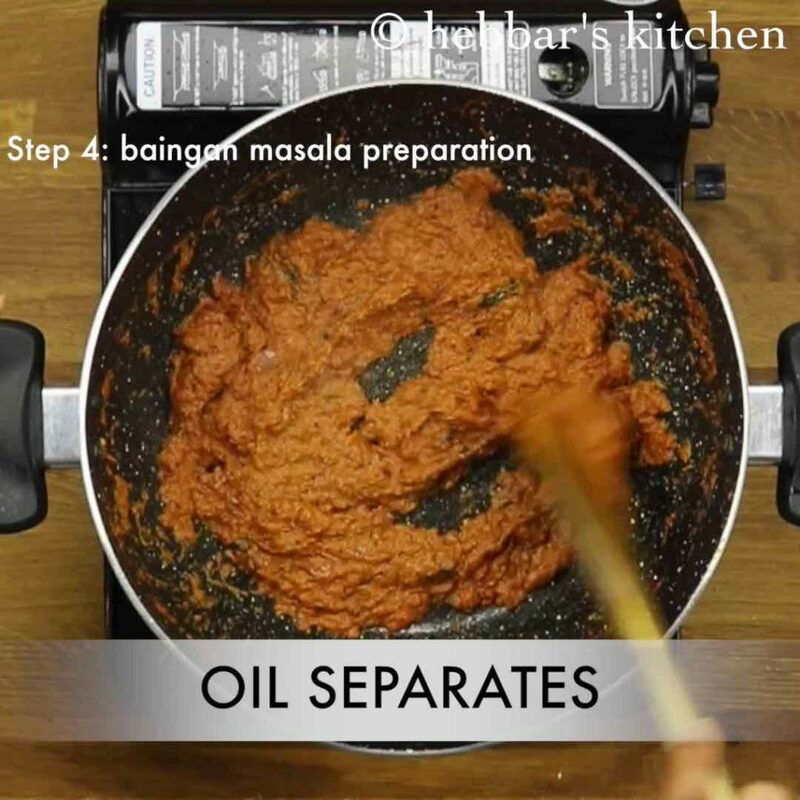 furthermore, some important tips and suggestions for a perfect and tasty baingan masala recipe. 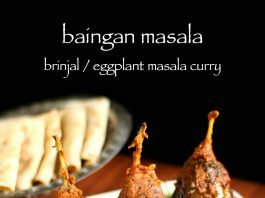 firstly, i highly recommend to use small and tender eggplant or brinjal for this recipe. 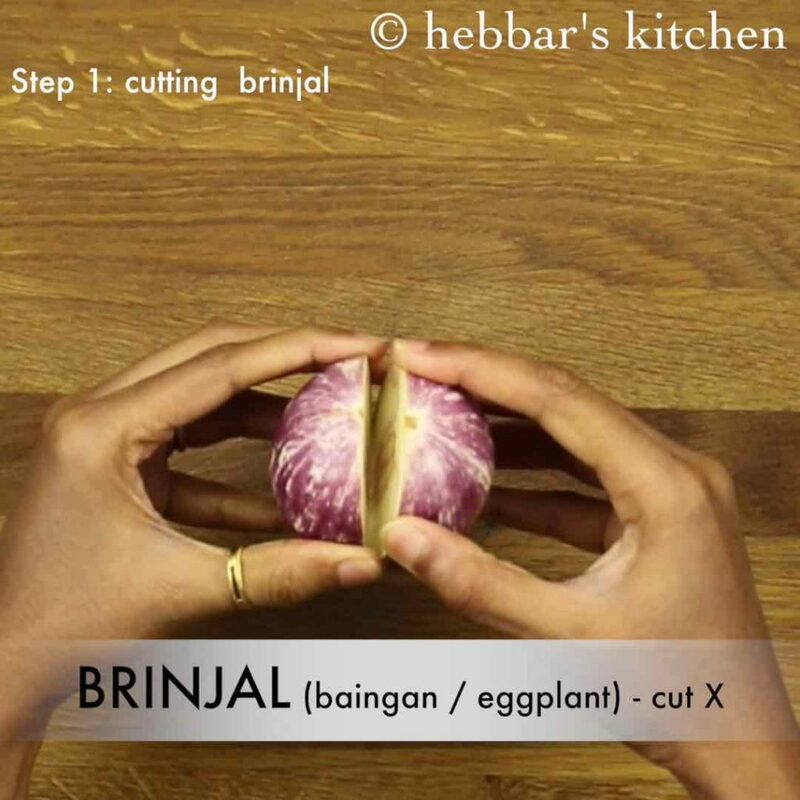 also make sure to cut the brinjal without tearing them apart as they help in holding masala well. 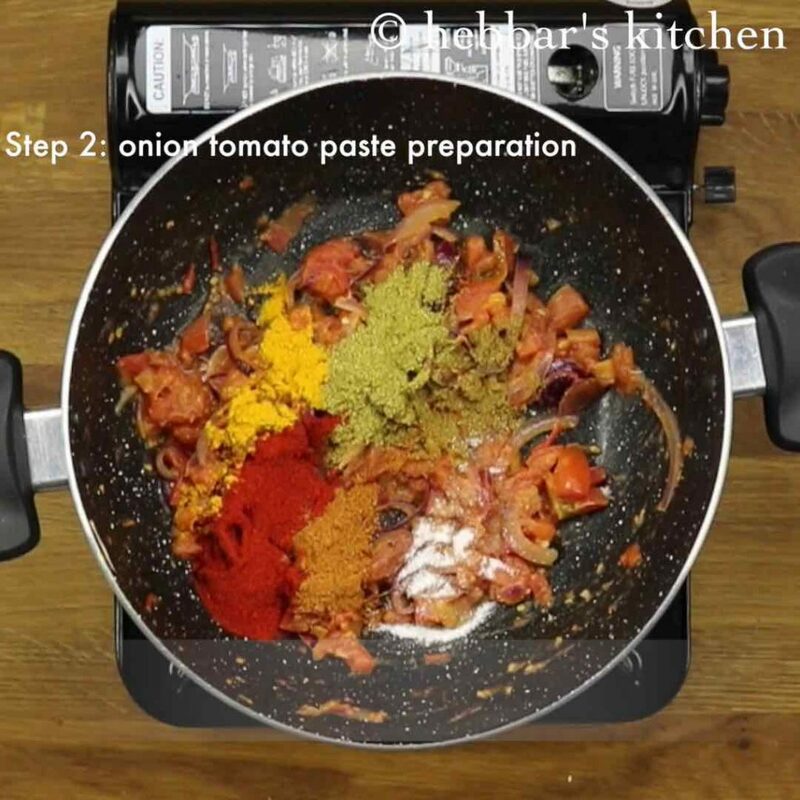 however, if you do not like the curry to be spicy, then reduce the amount of chilli powder. 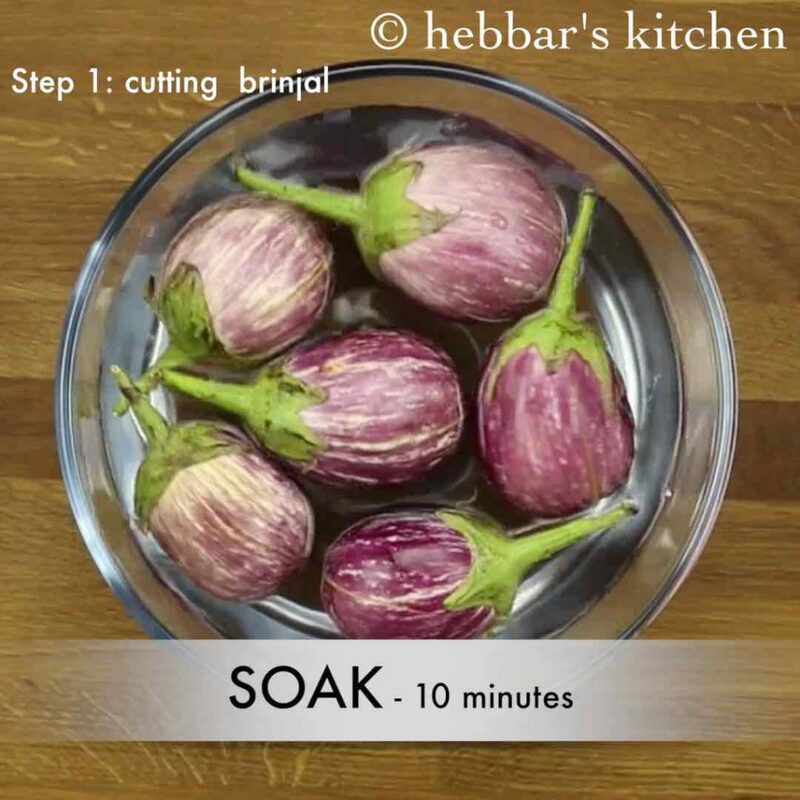 lastly, cook the brinjal on low flame else there are chances for eggplant to burn and remain uncooked from inside. 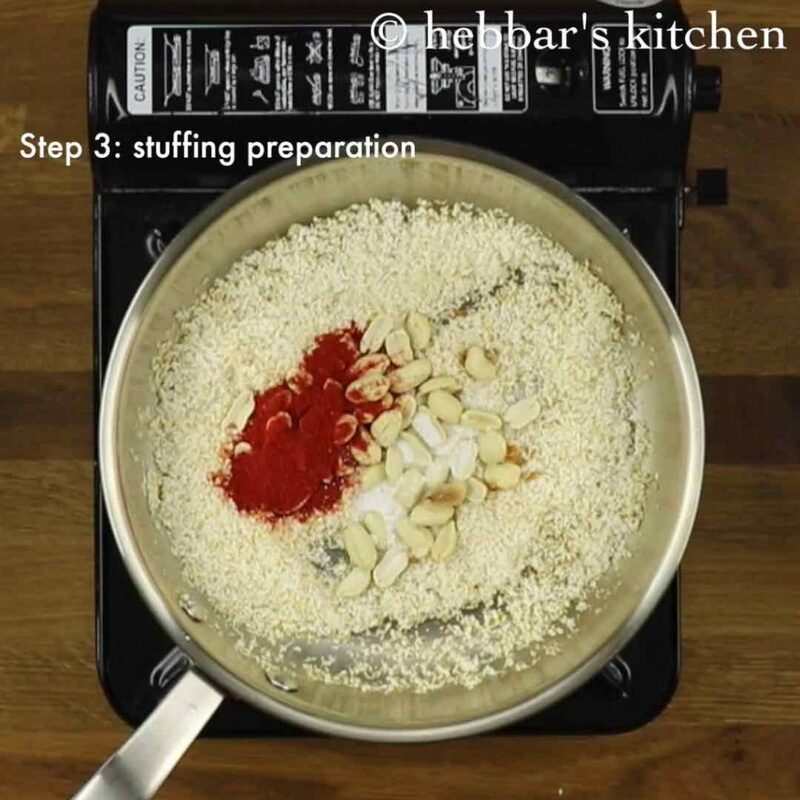 firstly, take the cut brinjal and stuff the prepared stuffing. and fry on medium flame with 3 tbsp of oil. cover and simmer for 2-4 minutes or till they are half cooked. further, take off and keep aside. now in the same kadai add mustard seeds, methi and curry leaves. further add onions and saute well. 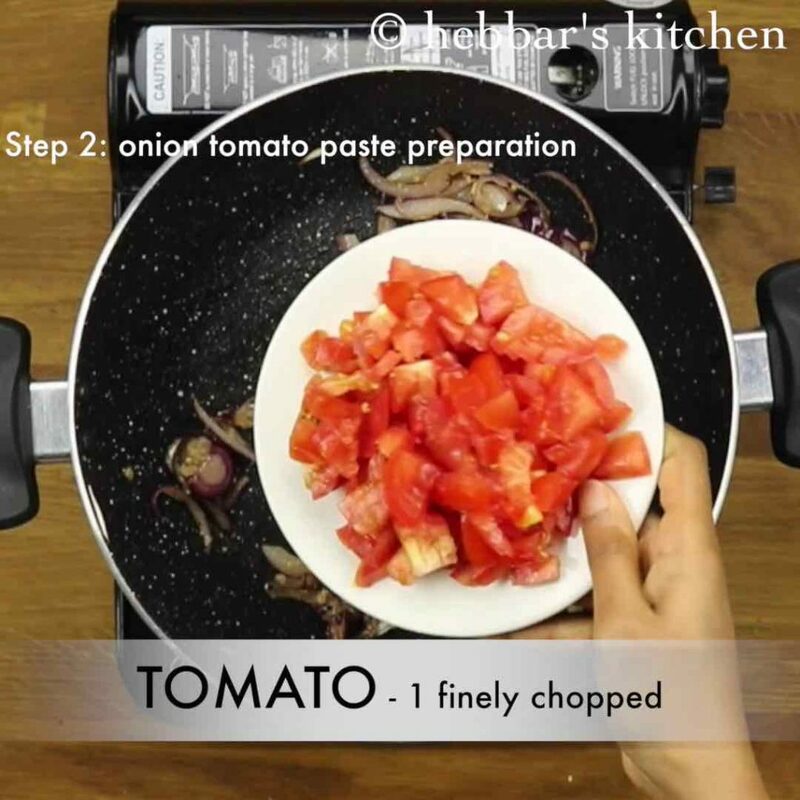 also add prepared onion-tomato paste and continue to saute. furthermore, place the stuffed and fried brinjals. and pour tamarind wate add a piece of jaggery. mix gently, cover and simmer for 5 minutes. 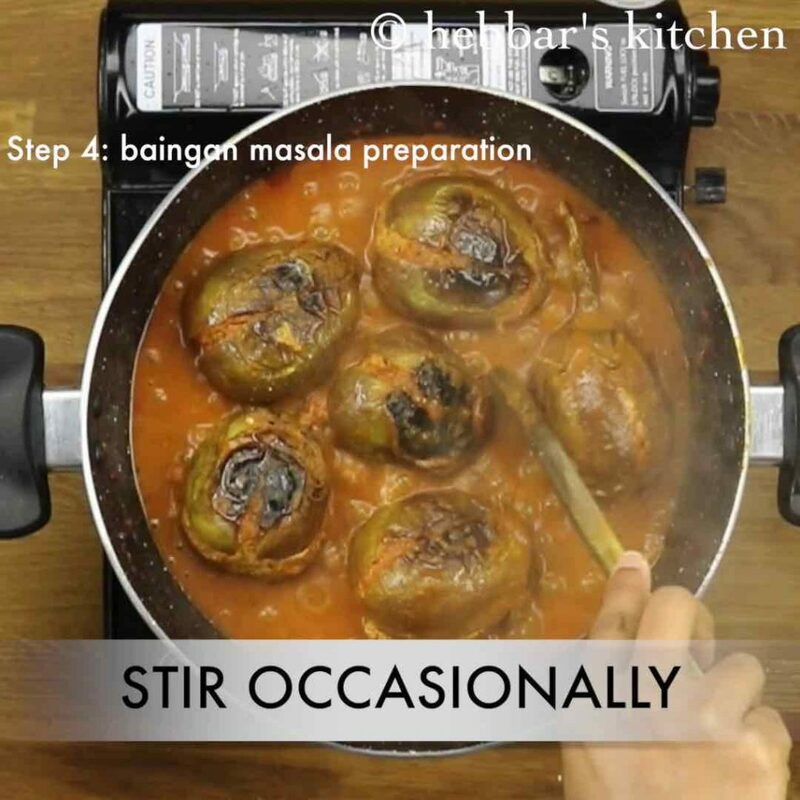 stir occasionally and cook till the brinjal gets cooked completely. 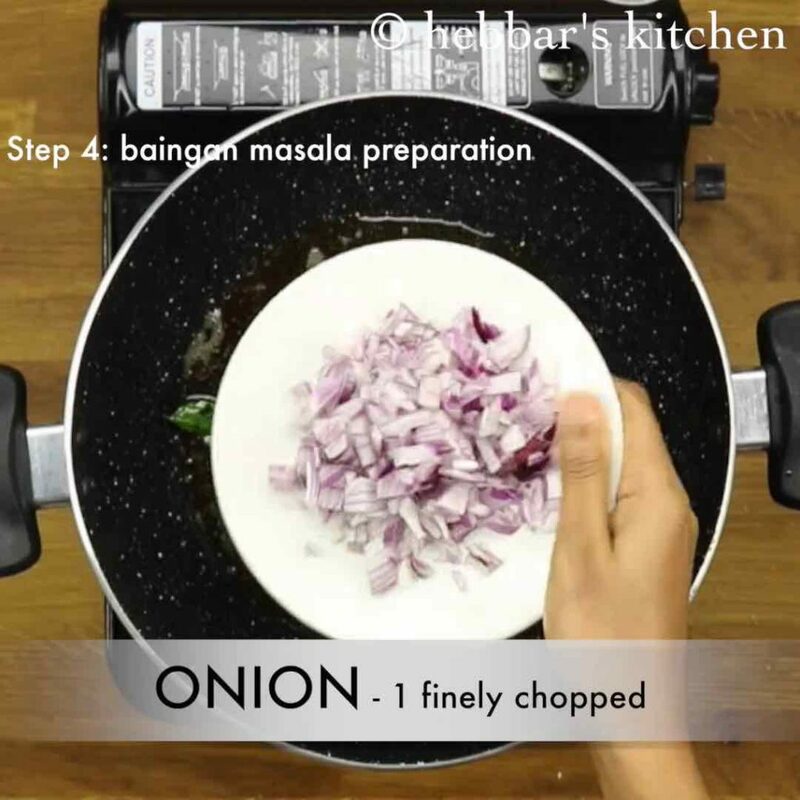 finally, serve baingan masala with chapathi or roti. 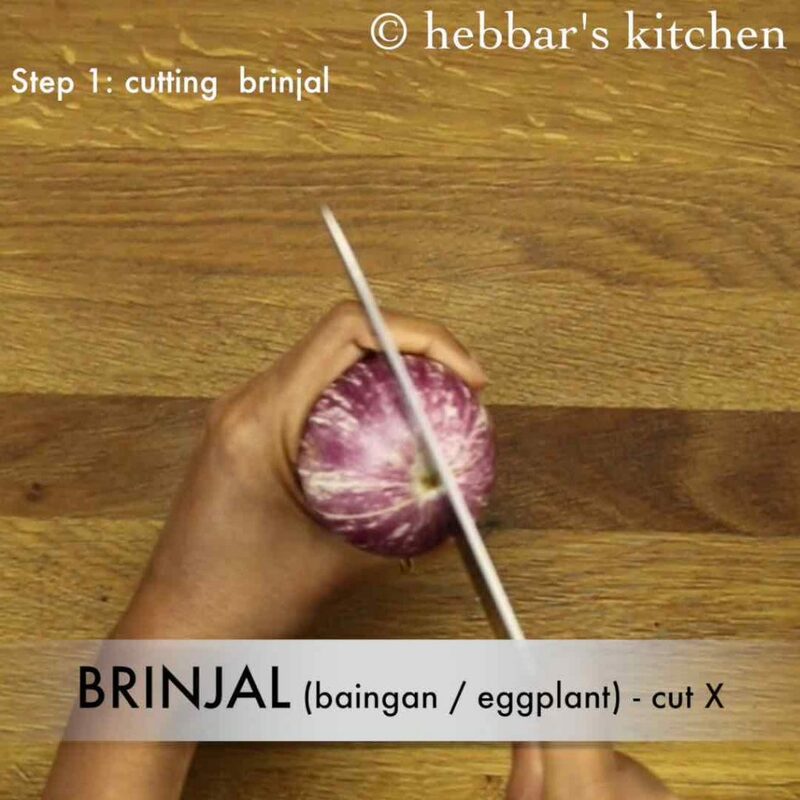 firstly, take small and tender brinjal and cut x at the bottom. make sure to check there are no worms in it. also soak them in water to prevent them from browning and reduce bitterness. 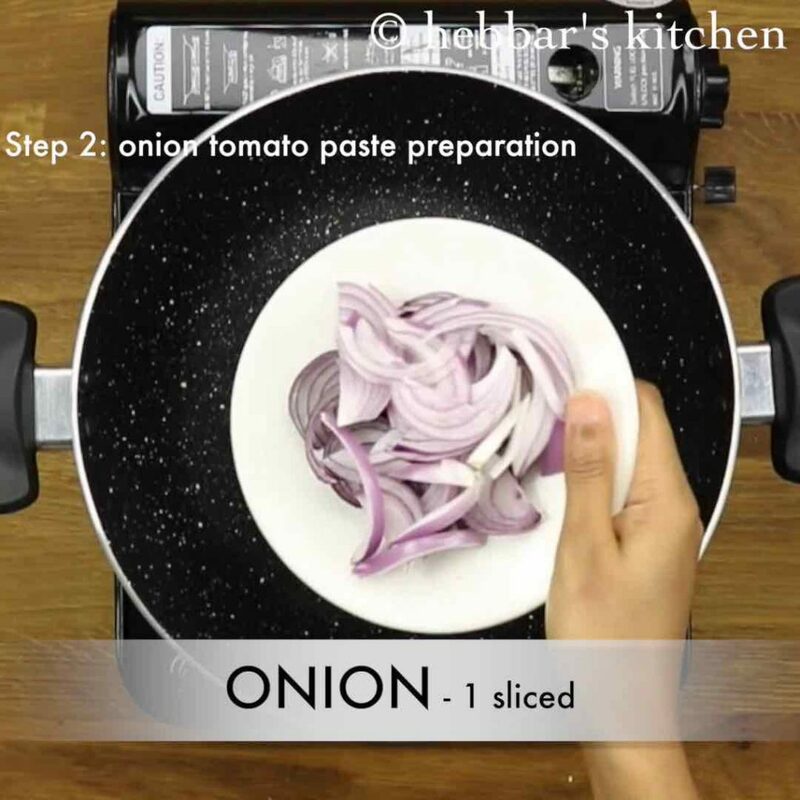 firstly saute onions with 2 tsp of oil till they change colour. 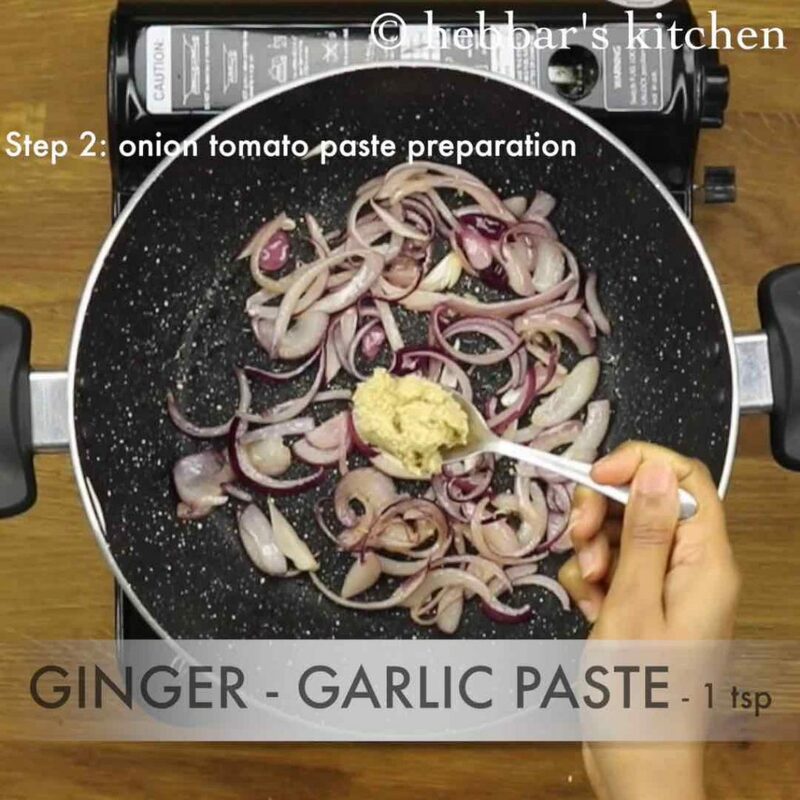 further add 1 tsp of ginger-garlic paste and continue to saute. also add tomatoes and saute till the tomatoes turn soft and mushy. 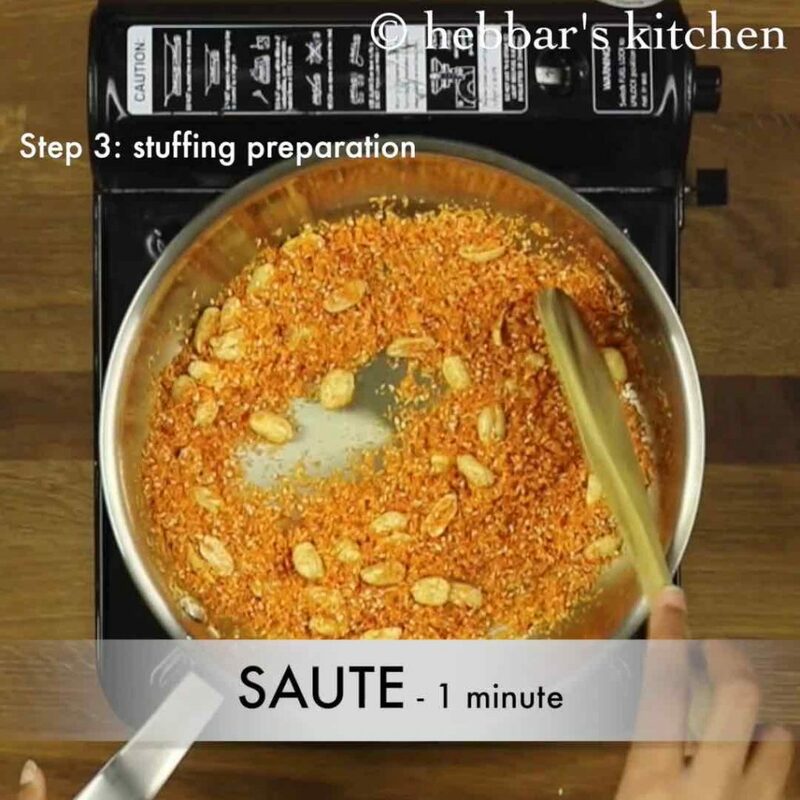 furthermore, add ½ tsp turmeric, 1 tsp coriander powder, ¼ tsp cumin powder, 1 tsp chili powder, ½ tsp garam masala powder and salt to taste. 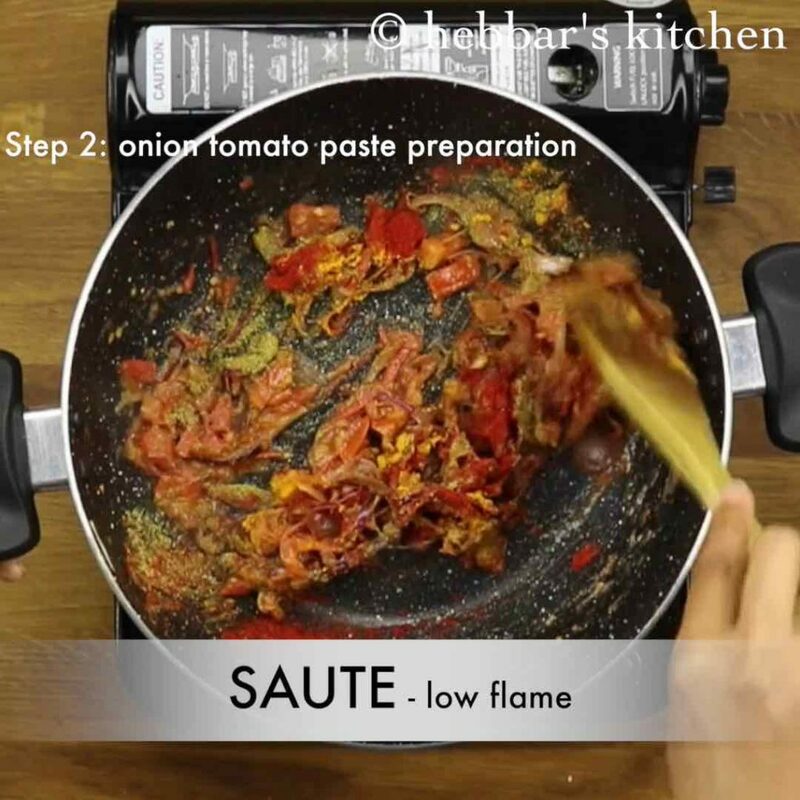 saute for a minute on low flame. transfer to a blender once cooled completely. 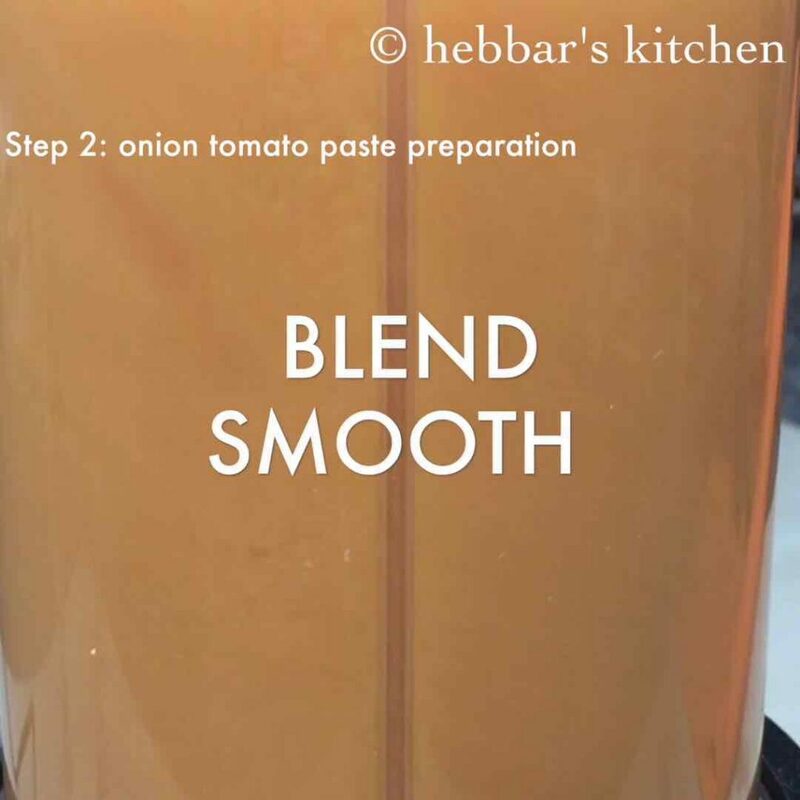 and blend to smooth paste without adding any extra water. keep aside. 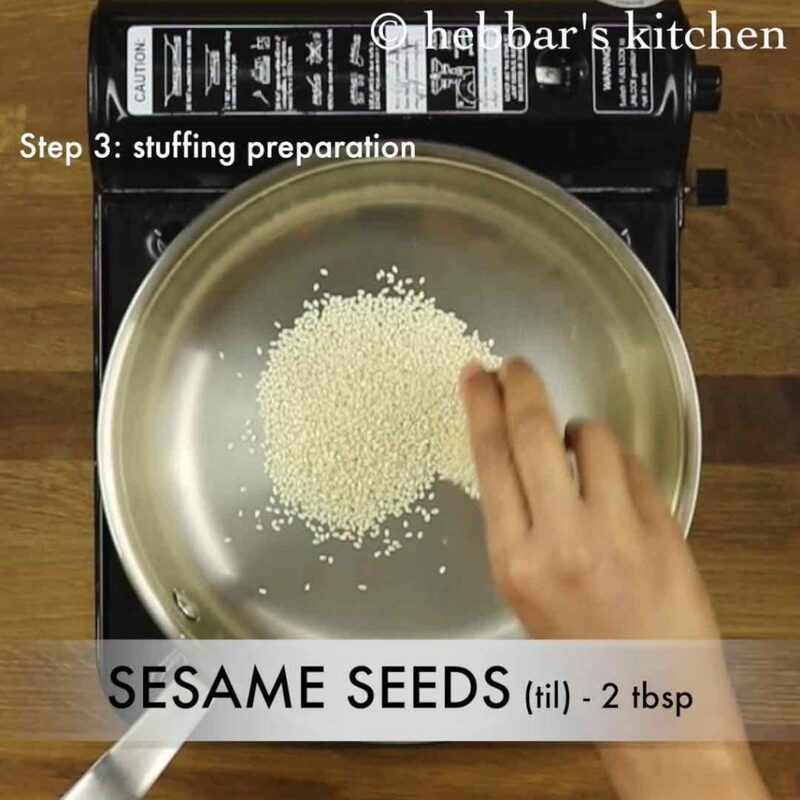 firstly, dry roast 2 tbsp sesame seeds till they turn slightly golden. 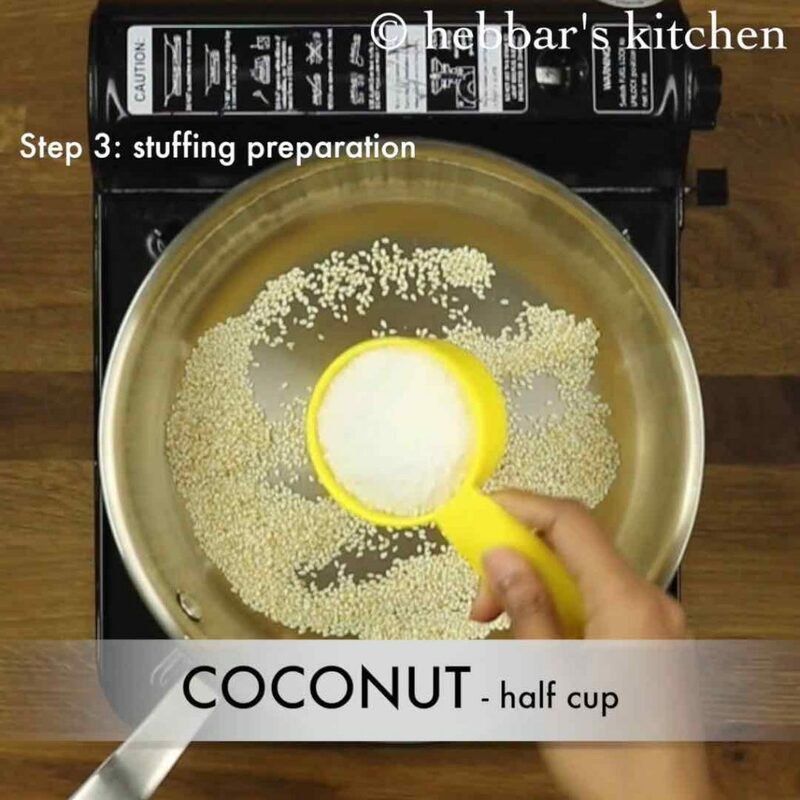 further add ½ cup coconut and continue to saute on low flame. also add ¼ cup roasted peanuts, 1 tsp chili powder and salt. and blend to coarse powder without adding any water. 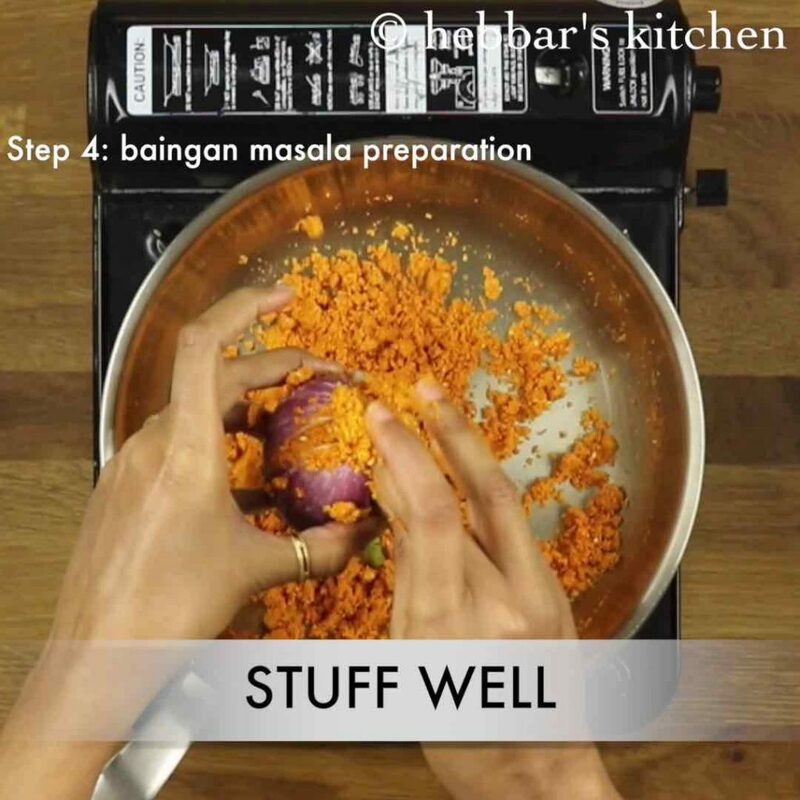 firstly, take the cut brinjal and stuff the prepared stuffing as much as possible. 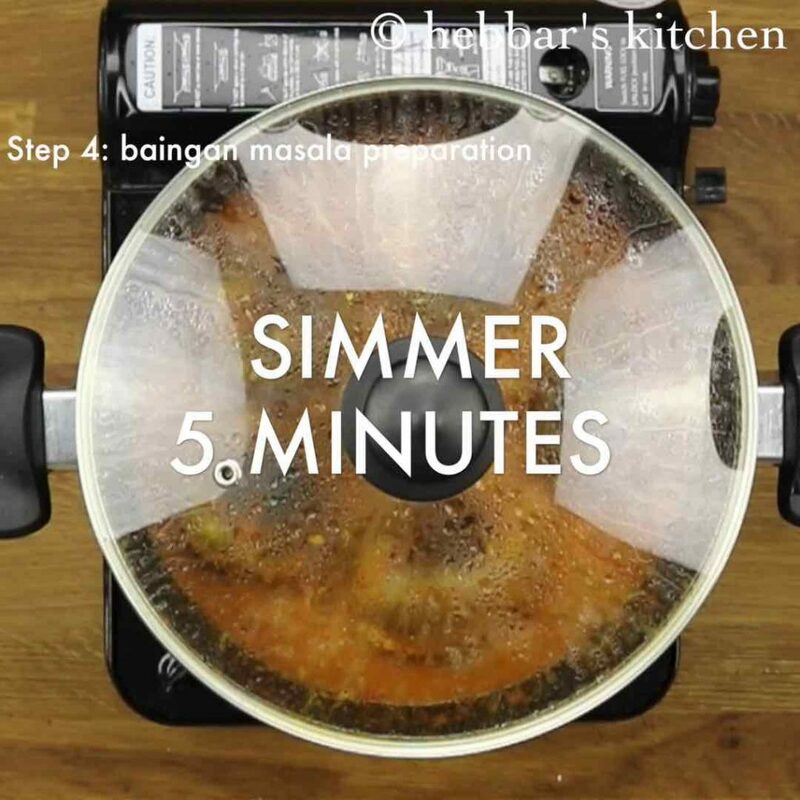 cover and simmer for 2-4 minutes. flip around and cook again covered for another 2 minutes. 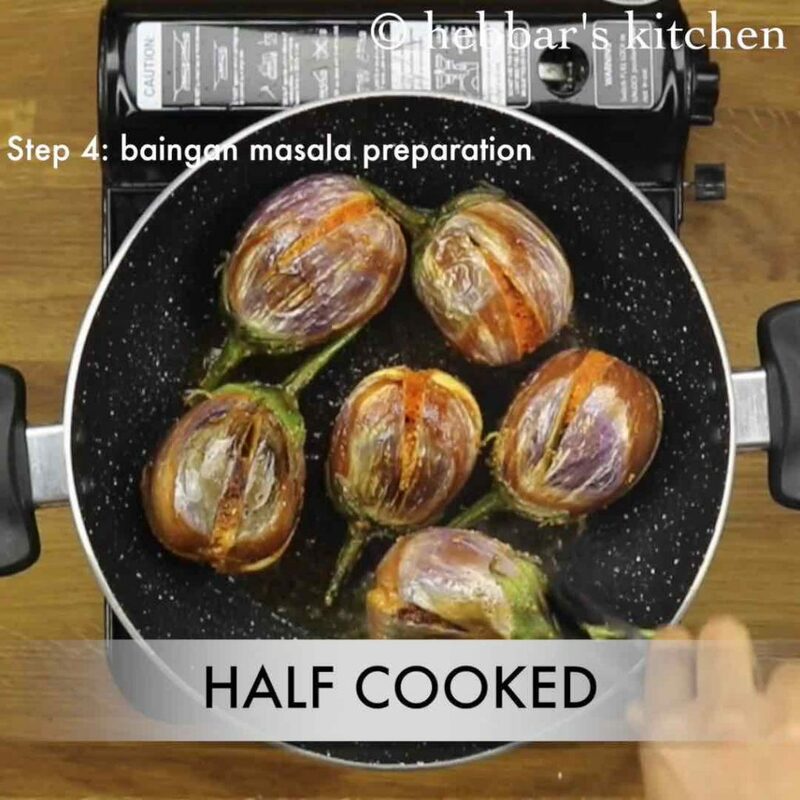 cook the brinjal till they are half cooked. further add finely chopped onions and saute well. saute till the paste thickens and oil separates from the mixture. and pour tamarind water. 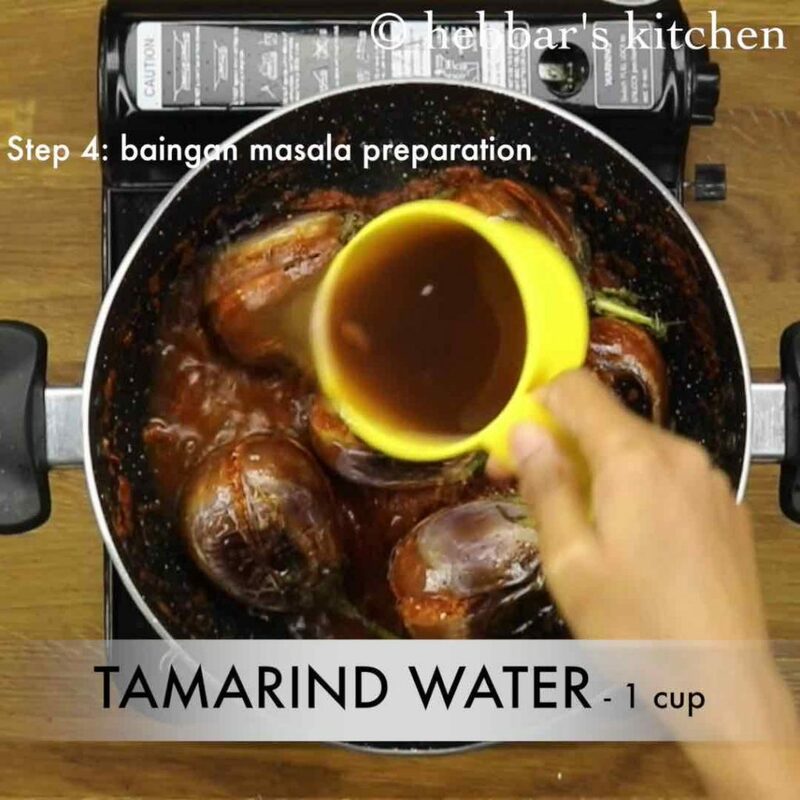 to prepare tamarind water, soak a small ball sized tamarind in 1 cup of warm water for 30 minutes and squeeze well. also add a piece of jaggery to enhance the flavour. 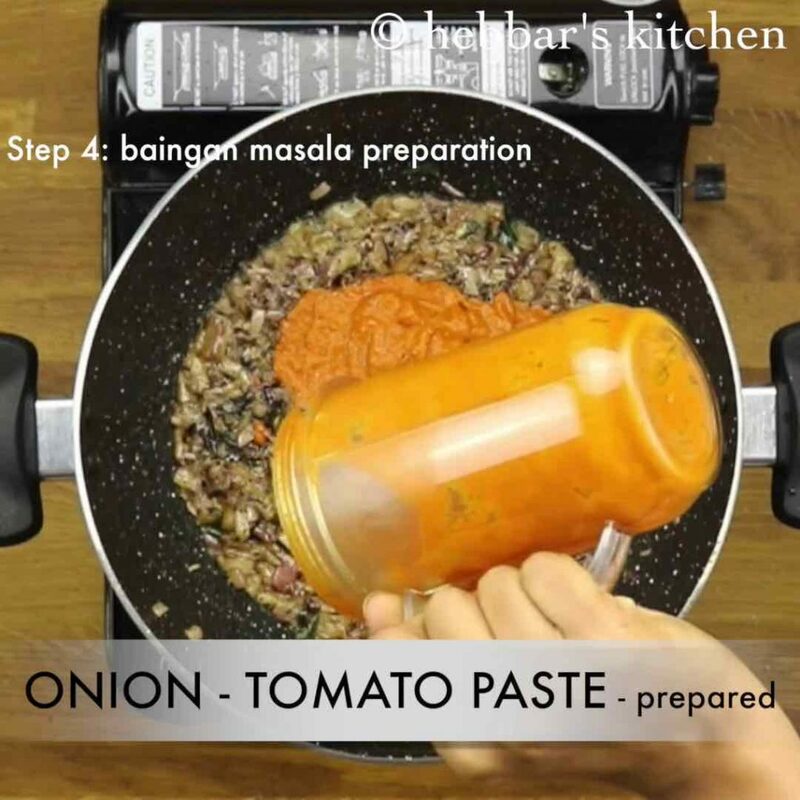 mix gently without breaking baingan. 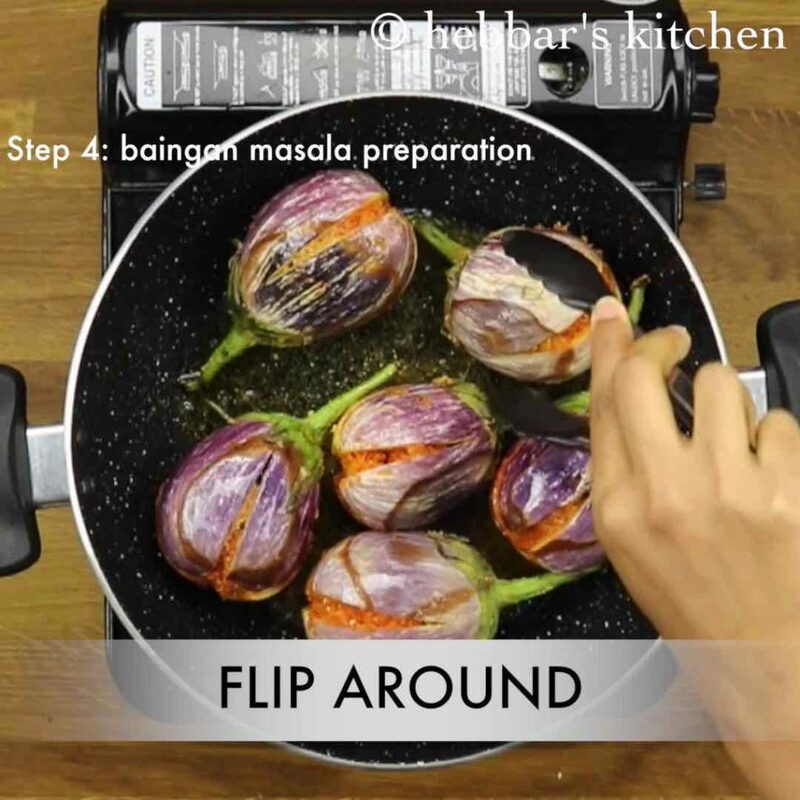 stir occasionally to avoid burning of masala and brinjal. also cover and cook till the brinjal gets cooked completely. 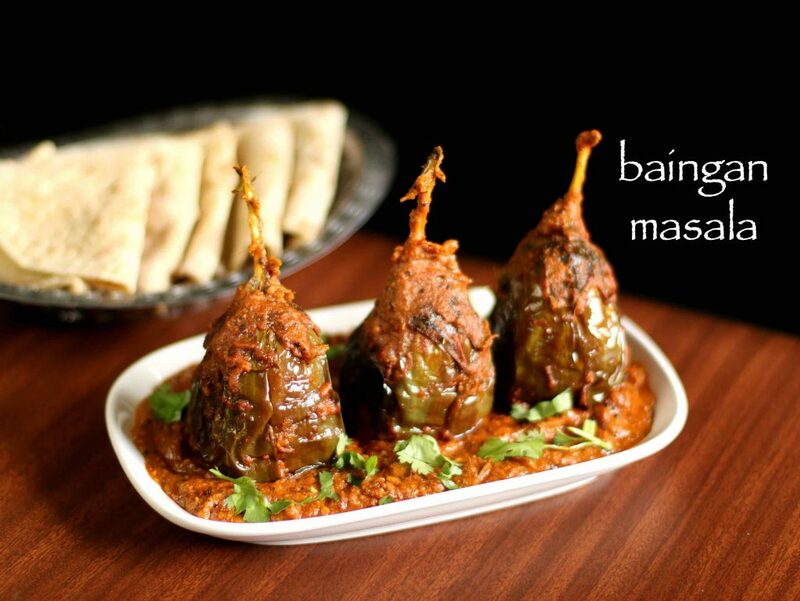 finally, serve baingan masala recipe or brinjal masala recipe with chapathi or roti. 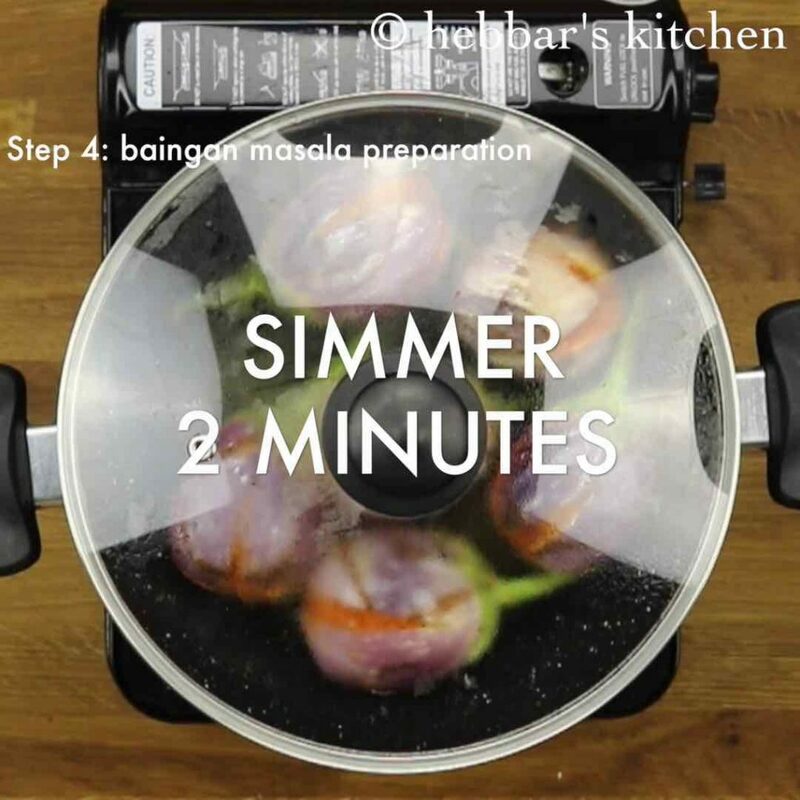 firstly, use small and tender brinjal for easy and uniform cooking. further, adjust the spiciness according to your choice. also adding jaggery is optional, however it enhance s the flavour. 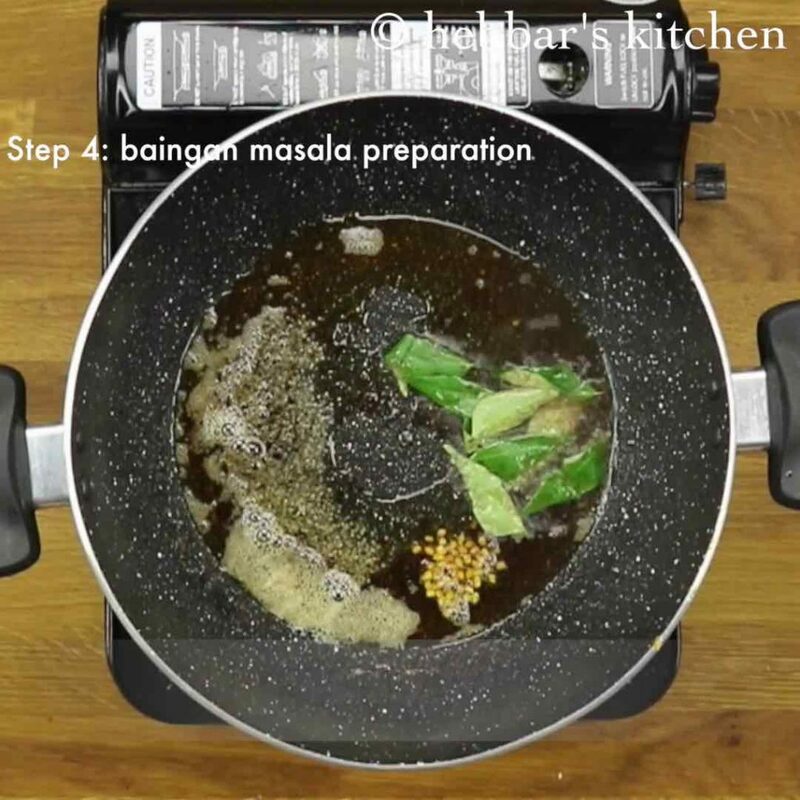 finally, baingan masala recipe or brinjal masala recipe taste great the next day, as it absorbs masala well. can we do this by long baigan? Hello I have tried you cake it was yummy. Would like to appreciate that ur recipes are very good to try n easy. U made my day! awesome Reciepe! Now this style of vankayya is in our regular menu..
Looks yummy must try this weekend. I made this and it was super yum!